As you’ve undoubtedly heard, Tim Russert, moderator of Meet The Press and NBC Washington bureau chief died Friday. Watching the coverage of Mr. Russert’s passing, on Father’s Day no less, his loss struck me as especially sad as in so many clips he seemed to be such a devoted dad. 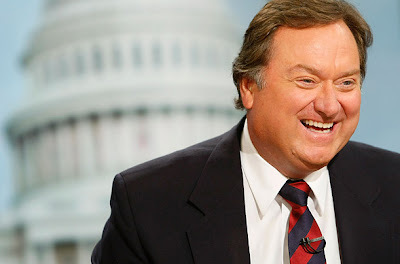 Tim Russert, RIP at a very young age of 58. He will be missed; there will be no replacement.